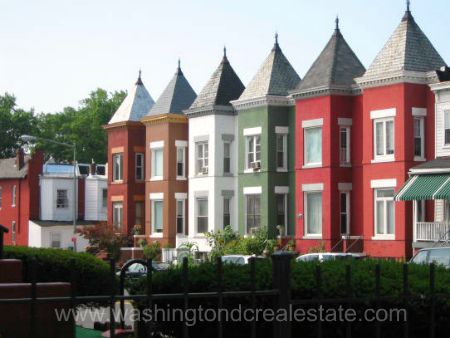 Columbia Heights is a recently revitalized neighborhood in the northwest quadrant of Washington, DC. Recognized as the District’s most ethnically and racially diverse community, Columbia Heights has seen more than 3000 new housing units constructed since 2001. Properties include high-priced condos and townhouses as well as traditional row houses and mix of public and middle-income housing. The bulk of the land being redeveloped are vacant lots and abandoned buildings that were the fallout from the 1968 assassination of Martin Luther King. The construction of DC USA in 2008, a 546,000 square foot shopping complex anchored by major retailers such as Best Buy, Target, and Bed Bath and Beyond, helped to drive the much of the gentrification of the neighborhood. Columbia Heights also has its own metro station on the Green Metro Line. The community is bounded by Spring Road, 16th Street, Georgia Avenue and Florida Avenue.